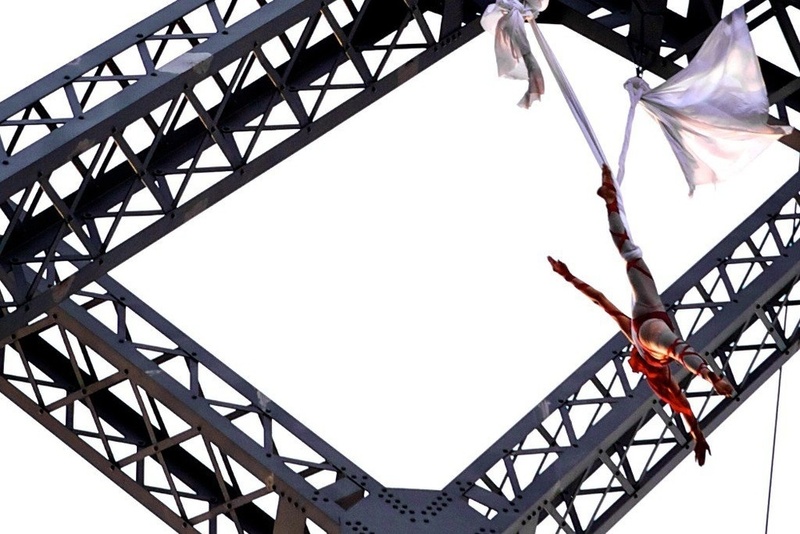 I want to congratulate my friend and trapeze teacher the incredibly inspiring Seanna Sharpe on her Williamsburg Bridge performance earlier this monday. Seanna is finally out of jail after she was charged with trespassing and endangerment for her thrilling performance. Seanna knew she would leave in handcuffs, but she scaled the tower anyway, giving daring performance that sent her flying without a safety harness. “My goal is to face my fear and to inspire others to face their fears,” Sharpe said in an interview with the Wall Street Journal before she went up the bridge. She said she recently climbed the bridge twice in the middle of the night to gauge how difficult it would be to suspend herself from the top of the tower. “The first time I did it, I didn’t make it to the top I was so scared. The second time the adrenaline was running high,” Sharpe said. 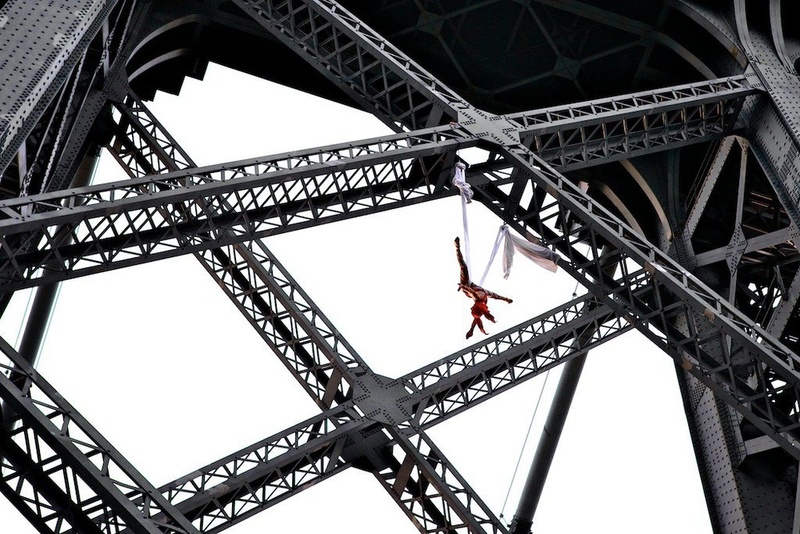 It took approximately seven minutes for Sharpe and her partner Skinner to scale the tower, followed by fifteen minutes of midair twirls and flips. During that time, Sharpe remained tethered to the bridge only by a length of silk rope she had tied to the bridge beams.